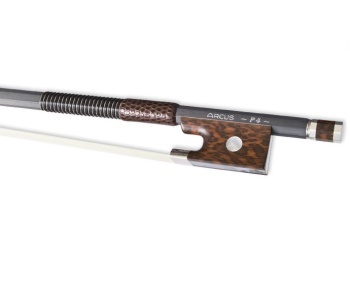 The P4 carbon fiber violin bow is a great all-round-bow meeting very high standards. It is especially suited for the romantic and modern repertoire in the orchestra as well as in chamber music. It allows a hearty playing as well as working out the subtleties and pulls a beautiful and full sound, with a rich palette of overtones. assembly: silver 935 eye: pearl coil: silver / black weight: ca. 52 gr.